Did you remember my previous post "I'm a Pirate, Take Me To Stranger Tides!" ? Well, it was for a contest and thanks to Nuffnang, I obtained yet another pair of premiere movie tickets. This time it was for this blockbuster Pirates of The Caribbean : On Stranger Tides at GSC Cinema Midvalley Megamall. Everybody who got the tickets were really excited to catch Jack Sparrows and the dark gang of pirates again on the big screen. Due to the rain and traffic jam, I actually reached the mall slightly late for dinner with the gang, but still in time to queue up for the tickets collection. I did manage to meet up with a few new blogger friends while queuing up. Have I told you I love meeting new friends? I always feel it's never too late to be friendly. This was my 3rd time catching a Disney movie premiere, and without fail there were the ladies and guys in suits waiting to confiscate our electronic items before the movie. The items were inclusive of mobile phones, cameras, and any recording devices. I've always wondered how much are they paid, as most of them looked really young. Check them doing their briefing below before they happily stow away our phones and cameras for the duration of the movie. Coming back to the movie, this installment of Pirates of The Caribbean came in 3D. We were given our 3D glasses upon entering the hall. One thing to note about 3D movies, it is really dark if you're not watching cartoons, and the movie wasn't really 3D'ish. In fact the only part where the 3D effects were consistently there would be the subtitles. Wow, we have floating subtitles people! Claps. True to Pirates of The Caribbean franchise, Johnny Depp returns as our all time favourite pirate with his enigmatic antics and funny lines. Now who doesn't love Jack Sparrows? In this fourth installment of Pirates of The Caribbean, Jack Sparrows embarks on a treacherous journey to find the fabled Fountain of Youth. 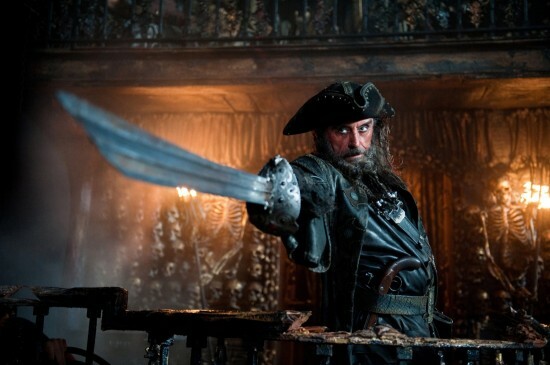 The movie showcases appearances of the stars from previous installments, namely Angelica (Penélope Cruz), Blackbeard (Ian McShane), Captain Hector Barbossa (Geoffrey Rush). Staring into space.. *hey is that a tweety bird?" One character in the movie which I found it worth mentioning would be the dangerously seductive mermaid (Astrid Bergès-Frisbey). Maybe it's me, but I found her really beautiful. 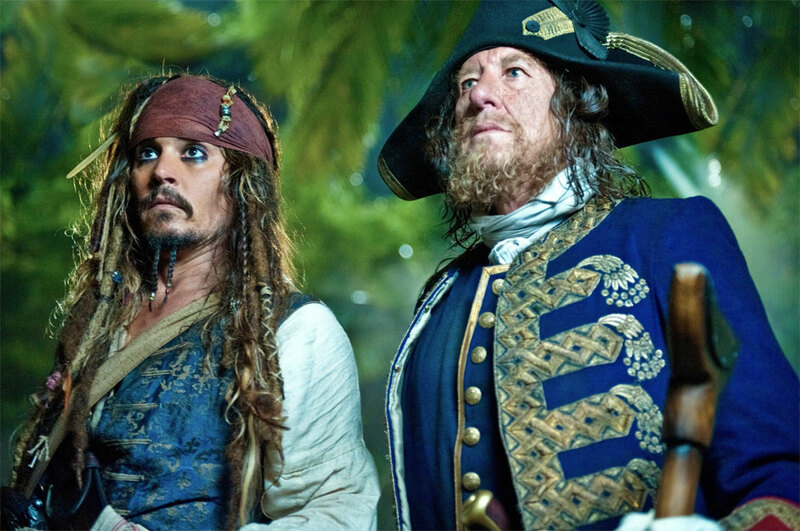 Overall, the movie stays true to the franchise, with pirates, both good and bad, the England soldiers, and Spaniards all playing a role to make Pirates of The Caribbeans: On Stranger Tides a wonderful watch. The storyline is pretty predictable though. If not for the 3D glasses which sort of spoilt the colours, the movie would have been better. My ratings? I'll give it a 3.8/5. Watch it, even if it's only to watch Jack Sparrows because the man is legendary! it rained? lol i didnt know. you guys didnt see the displays on ground floor? Ohh this i gotta watch! hey, the pictures u took..so clear one.. too bad they dont have this in Ipoh otherwise I be watching them too!! johnny depp is stil hawt!!! i hv got to watch it! LOL, I also find the mermaid very leng lui! Kimberly, thanks for dropping by! He sure is a very cool pirate! Simon, you owe it to yourself to watch it bro!! STP, those ushers were hired to keep our cameras and mobile phones. Plus they will search us. Haha. I love free movies :P I'm sure there are premiere screenings in your area too? You just have to know who to ask from? Merryn, catch it when its out in the cinemas! Claire, it should be out in the cinemas soon . Catch it then! Daniel! What's your blog url? Do add it in next time when commenting so I can visit you back.